At the CMP Nationals (Rifle), for the President’s Trophy Rifle match the USARCMP had 13 team members place in the President’s Hundred, including SFC Probst who received his tab for the first time. 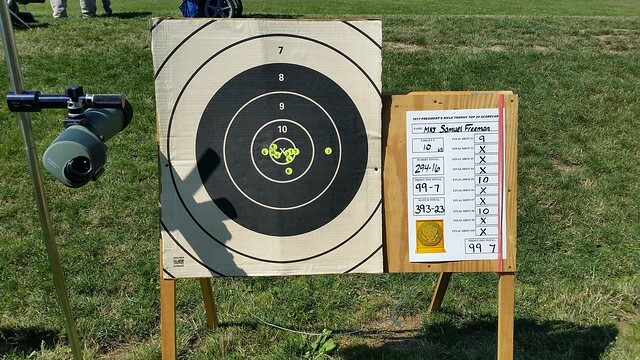 The USARCMP had 2 team members, SSG Morris and MAJ Freeman, compete in the top 20 shoot-off. MAJ Freeman finished 4th overall out of the 1107 competitors. Congratulations to all of our shooters and good luck tomorrow in the National Trophy match.